You may have noticed I went for a couple weeks without posting. Life kind of got busy for a while. 🙂 I’ve been doing some volunteer work for Kansas City Make-A-Wish and for Gilda’s Club and in the middle of it all I spent a week in Atlanta. In Atlanta I picked up a copy of The Cosmic Vegetarian Cookbook which is a book created by the Atlanta Meditation Center of SRF as a fundraiser for their new Temple. 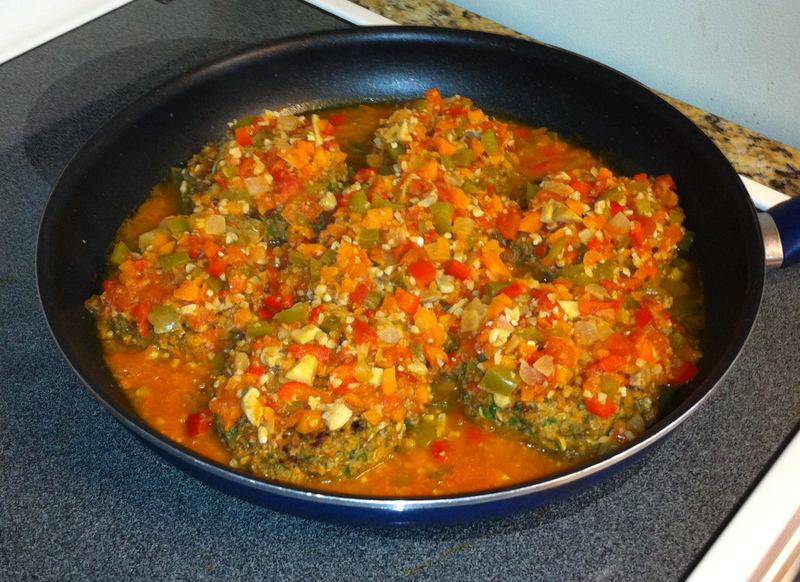 Thanks to Gary and Suzanne Werdesheim who shared this recipe, and to Aunt Esther! It is delish! I’ve adapted it slightly to add a little more veggie power. I recommend serving it with peanut and tomato stew as described in the instructions below. You can see my photos from the Atlanta Aquarium here. The aquarium is incredible if you ever get a chance to go there. Begin by placing all ingredients in a bowl starting with beaten eggs. 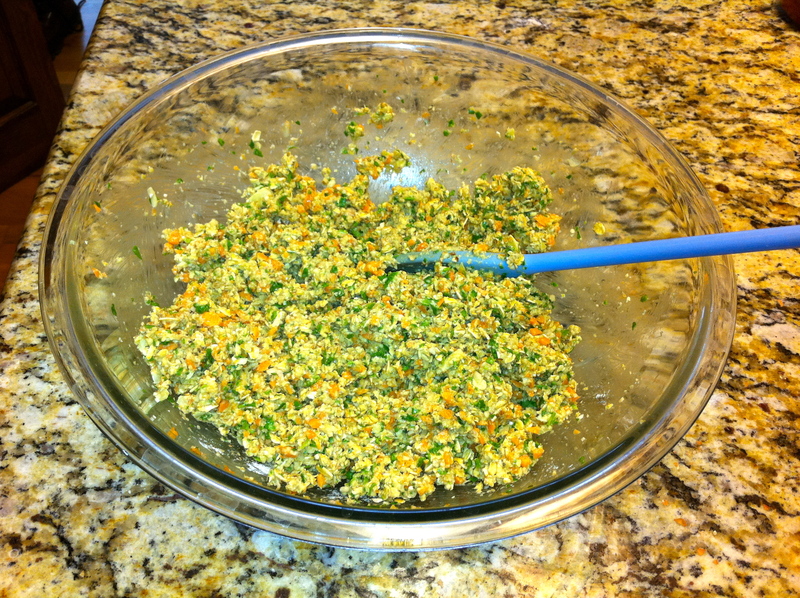 Add milk, oatmeal, nuts, onion, garlic, spinach, carrots, mushrooms, flour, thyme, salt and pepper. 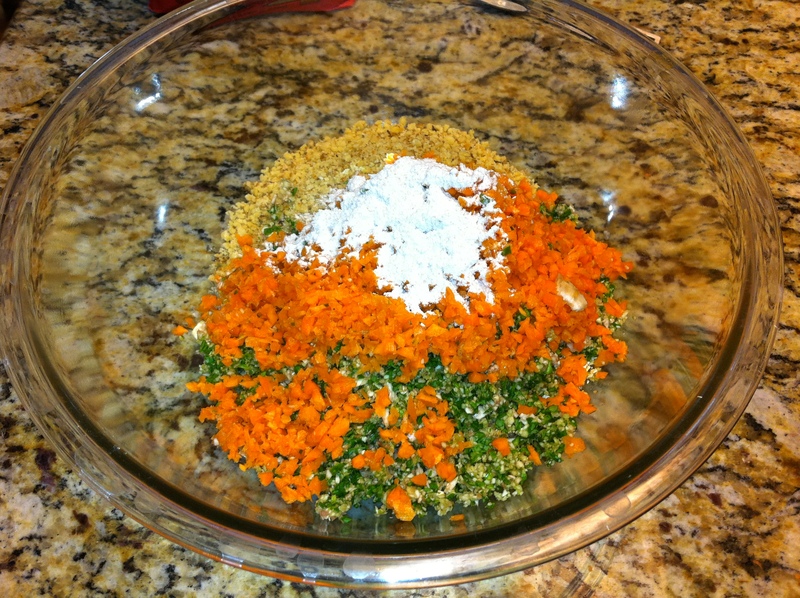 I ground my spinach, carrots and mushrooms first in the food processor. Cook in large frying pan with a little olive oil. Or if you prefer broil them in the oven. Once the burgers are well cooked, spoon peanut and tomato stew over them and cook on low heat for a few minutes. Serve and enjoy! The burgers and the stew complement each other nicely. If you’re in a hurry serve with store-bought tomato sauce instead of the stew, but be sure to buy a real low sodium brand. You too! 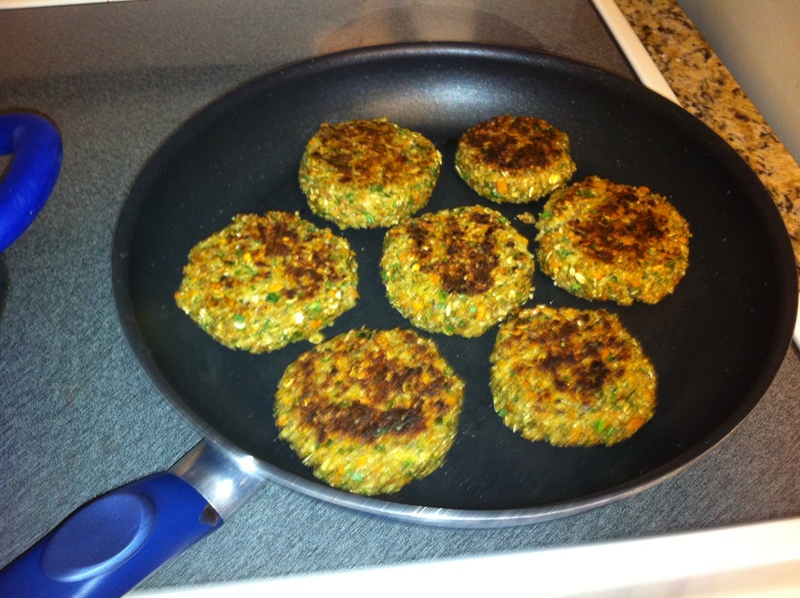 Did you see this veggie burger recipe? It is actually my favorite.